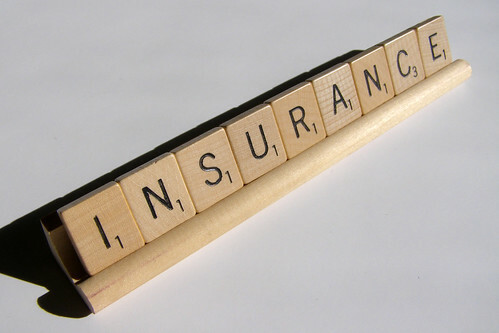 When we think of insurance, we often think of health, life, auto insurance and more. However, it’s rare that we think of small business insurance. As a matter of fact, the average small business owner doesn’t feel protected at all when it comes to some risks. Of course, they pay unemployment insurance, it’s a mandate, but when it comes to average risks that the average small business owner would take aside from unemployment, the simple fact is, they don’t feel protected. Below is a list of risks that you would be protected from if you had small business insurance. High Taxation – We all pay taxes, no matter if we pay them as an individual or a corporation, we pay them. As a small business owner taxes could become your biggest concern. The simple reality is, when what there’s not enough tax money coming in, taxes go up. Before taxes go up for consumers, they generally go up for businesses, no matter how small or large your business might be. If this was to happen in your area, it could be enough to force you out of business. It was reported that businesses feel that high taxation is the biggest threat to their business and many feel unprepared to deal with rapid changes to taxation laws. Loss Of Customers – No business wants to lose customers. That’s even truer when talking about small businesses. The basis of a small business’ survival in most cases is a small, core group of customers. So, what happens when that small pool company with 9 customers loses 2 over the course of a month? Unfortunately, that business owner may find himself cleaning pools for someone else. The good news is, as much as I didn’t believe it at first, there’s insurance that can help you in case you do lose customers. Cyber Attacks – We don’t like to think about it much, but cyber-attacks are real. They could be attacks on systems, such as viruses designed to take servers offline, or they could be attacks on financial information like hackers breaking into your client database. Nonetheless, cyber-attacks cost businesses in the United States millions if not billions of dollars a year. Unfortunately, the hacker or virus doesn’t care if you’re a startup, and for many an attack without insurance to back you up could cause the company to go bankrupt. Increasing Price Of Raw Materials – No matter what business you’re in, if you provide a product, raw materials go into making that product. As the demand for raw materials continues to grow stronger, the price of these materials will go up as well. However, what happens when the cost of raw materials starts to rise faster than what you can get for your final product? At this point, the high cost of raw materials could cause a business to go under. Excessively Strict Regulation – As a result of the recent economic collapse, law makers have been creating regulations in an effort to stop something of that magnitude from ever happening again. In most cases, these regulations are good things; they protect consumers and businesses alike. However, in some cases, excessively strict regulations can stop good businesses from being able to continue business as usual. The simple fact is, strict regulation is something that all small businesses should think about. If you’re a small business owner without insurance, reading this article may have scared you a bit. Although that’s not my intention, it’s a good thing. The reality is, if you’re not actively thinking about these risks and insuring yourself against them, you’re one step behind the herd. There are tons of insurance companies out there that would be willing to help at incredibly reasonable rates. I hope this article has inspired you to take action with regard to risk management for your business. My very good friend has a computer shop business, it’s just a small business because she only owns 6 computer units. But just last year her all units was getting a computer virus luckily she has a business insurance. Hey Clarisse, thanks for swinging by and sharing that. Insurance really is important. As with any insurance, it’s important to understand what assets you are trying to protect as well as what coverages the insurance policy in question will have. Once you understand these, you can pick out a small business insurance plan that meets you specific needs. Very true Jon, thanks for adding that!